The newly introduced 535 MAG2 with its fast 6.0:1 gear ratio it is a powerhouse reel designed to fish at long range into deep water for big fish amongst rough ground and kelp weed. 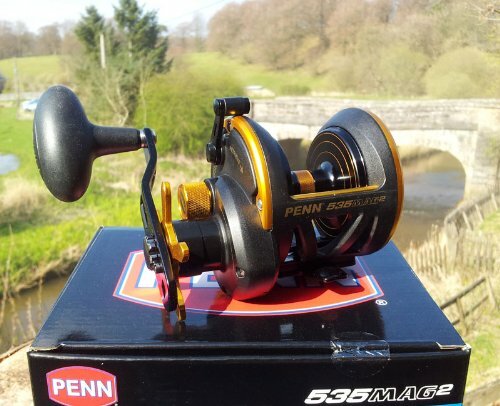 Main features include a finger adjustable external magnetic braking system, a disengaging pinion gear with live spool spindle allows the spool to be totally free from restriction and drag, when in free spool mode ensuring easy, trouble free, long range casting. Also featured are shielded stainless steel ball-bearings, a forged aluminium spool, and a tough HT-100 drag system that can really enjoy a cult following and are a top seller for beach and rock fishing situations.